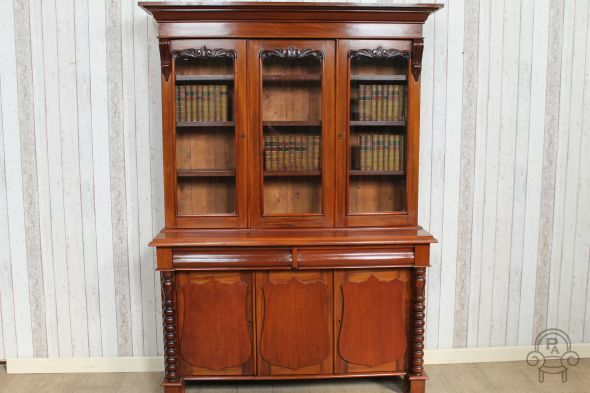 A great addition to our extensive range of antique and vintage furniture, this beautiful late Victorian mahogany bookcase features a glazed section to top which is fitted with internal shelves. This sits upon a cupboard base section with two pillow fronted drawers and decorated with turned columns to either side. The item is in lovely condition for its age, which we date circa 1890. It breaks down into two individual sections for ease of transportation and reassembly. It would be ideal for any large period living room or study.